Lecturer: Dr. Kaoru Yamazaki / Institute for Materials Research, Tohoku Univ. 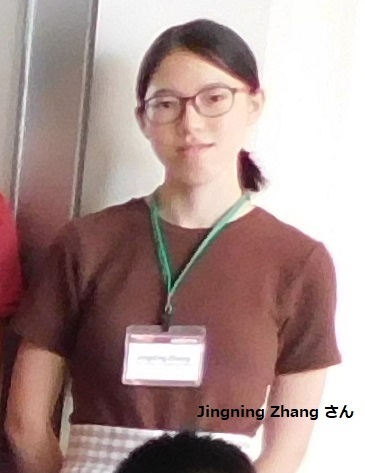 Lecturer: Fumiyuki Ishii / Graduate School of Natural Science & Technology, Kanazawa Univ. Title: Universal medium range order of amorphous metal oxides and theory for describing disordered structures. We will have a following Research Intern. We had following Research Intern. 2019 Annual (74th) Meeting (All divisions) of the Physical Society of Japan (March 14-17, 2019, Kyushu Univ., Ito Campus), we will make oral presentations as below. - Masahiro Fukuda: "High-throughput DFT calculations for structure exploration of AB2 type 2D materials"
- Yung-Ting Lee: "Exploring key components of optical properties by analyzing partial conductivity and permittivity in a band structure"
19th International Workshop on Computational Physics and Material Science: Total Energy and Force Methods (January 11-19, 2019, @Trieste in Italy), we will make poster presentations as below. - Masahiro Fukuda: "High-throughput DFT calculations to explore structures of AB2 type monolayers"
The 4th Symposium of Post-K Priority Issues (7)（2018/12/17-18, ISSP, University of Tokyo), we will make a poster presentation as below. - Masahiro Fukuda: "High-throughput DFT calculations for exploration of AB2 type monolayer structures"
Kakehashi:TIA（2018/12/3, University of Tokyo Kashiwanoha Campus Station Satellite), we made poster presentations as below. - Masahiro Fukuda: "Structure search for AB2 type monolayers by high-throughput DFT calculations"
The 21st Asian Workshop on First-Principles Electronic Structure Calculations（2018/10/29-31, KAIST, Daejeon, Korea）, we made poster presentations. - Taisuke ozaki: "Efficient O(N) divide-conquer method with localized natural orbitals"
- Masahiro Fukuda: "Structure exploration for AB2 type monolayers by high-throughput DFT calculations"
- Taisuke Ozaki: "Development of O(N) first-principles electronic structure calculation methods and its applications"
We had/will have following Research Interns. At JPS 2018 Autumn Meeting, three members in Ozaki Laboratory made presentations as below. We had following two Research Interns. "Reliability and applicability of magnetic-force linear response theory: Numerical parameters, predictability, and orbital resolution"
"Li deposition and desolvation with electron transfer at a silicon/propylene-carbonate interface: Transition-state and free-energy profiles by large scale first-principles dynamic"
"Peculiar bonding associated with atomic doping and hidden honeycombs in borophene"
"High-Throughput Screening of Sulfide Thermoelectric Materials Using Electron Transport Calculations with OpenMX and BoltzTraP"
At JPS 73rd Annual Meeting 2018, two members in Ozaki Laboratory made presentations as below. - Masaharu Fukuda："Self-energy correction term for linear-scaling NEGF method and its energy pole dependency"
We had following Research Interns. 2017/12/１ Friday, Prof. Kaoru Ohno (YNU) made a lecture at ISSP Riron seminar. The title was "Recent Progress in a Calculation Method of Quasiparticle Spectra". For details, please see here. 2017/11, Atsuko Miura has joined Ozaki Laboratory as a technical assistant. Absolute Binding Energies of Core Levels in Solids from First Principles. A general method is presented to calculate absolute binding energies of core levels in metals and insulators, based on a penalty functional and an exact Coulomb cutoff method in the framework of density functional theory. For details, please see here. Appeared in Nikkei-on-line, Nikkan Kogyo online, OPTRONICS ONLINE etc.
" 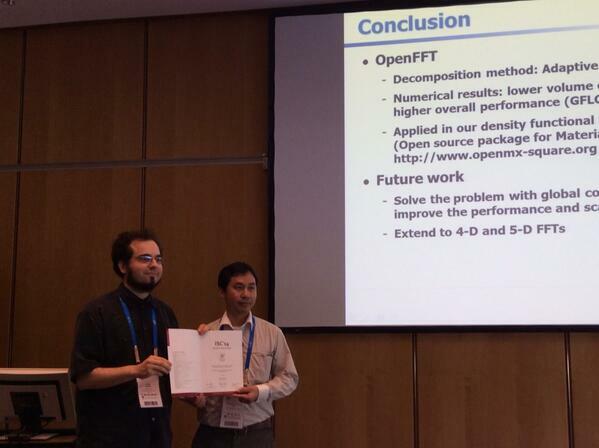 OpenFFT: An Open-Source Package for 3-D FFTs with Minimal Volume of Communication" by Truong Vinh Truong Duy and Taisuke Ozaki. Prof. Ozaki gave two lectures on O(N) methods for DFT calculations as a part of a lecture course "scientific computing B" organized by CMSI on 12 and 19th June in Osaka University. The materials shown in the lectures can be downloaded from the CMSI website. Prof. Ozaki had left his position at JAIST at the end of May 2014, and as of June 1st, he has moved as a Project Professor to Institute for Solid State Physics (ISSP),The University of Tokyo, and largely involved in Computational Materials Science Initiative (CMSI). Thank you so much for all the support during the time I worked for JAIST. JAIST, School of Materials Science 「平成25年度M1研究計画発表会 (M1 research project presentation)」 was held. M1 members gave presentations in the following titles (9 December, 2013). We hope for future progress in thier research. Truong Vinh Truong Duy (postdoctoral fellow) gave a poster presentation at The International Conference for High Performance Computing, Networking, Storage and Analysis (SC13 website). 7th & 8th Simulation Science Seminars（November 5 & 18, 2013). Assoc. Prof. Ozaki gave a lecture at 15th J-BEANS Seminar (JAIST HP: J-BEANS seminar's web site). An open source parallel library for computing three-dimensional Fast Fourier Transforms (3-D FFTs): OpenFFT ver. 1.0 has been released on the website (September 6th, 2013). College students came to visit to our laboratory (Trial Enrollment) （September 2nd-6th, 2013）. 6th Simulation Science Seminars (August 26th 13:30-16:20, 27th 9:10-12:00, 2013 ). College students came to visit to our laboratory ( Trial Enrollment)（August 5-9th, 2013）. Truong Vinh Truong Duy (postdoctoral fellow) gave a poster presentation at 27th International Conference on Supercomputing ( ICS2013 website). The latest version of OpenMX Ver. 3.7 has been released on the website (May 23rd, 2013). Assoc. Prof. Ozaki gave a lecture about OpenMX at "OpenMX・QMAS・TOMBO seminar" (CMRI website). Truong Vinh Truong Duy (postdoctoral fellow) gave a lecture at SIAM Conference on Computational Science and Engineering ( CSE2013 website). Assoc. Prof. Ozaki gave an invited lecture at 2nd International Symposium on Hierarchy and Holism in Natural Sciences (ISHH2012 website) . Truong Vinh Truong Duy (postdoctoral fellow) gave a poster presentation at Symposium on High Performance Computing and Computational Science 2013 ( HPCS2013 website) . 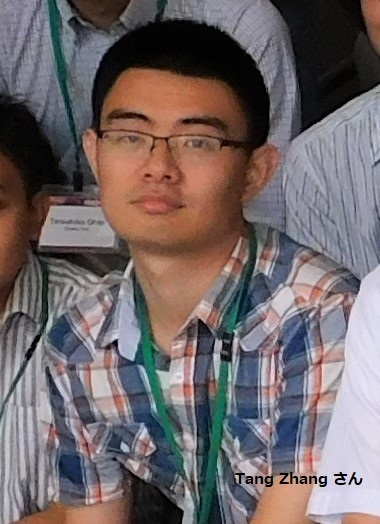 Truong Vinh Truong Duy (postdoctoral fellow) gave a lecture at Conference on Computational Physics ( CCP2012 website) . Assoc. Prof. Ozaki gave an invited lecture on large-scale electronic structure calculations at IUMRS-ICEM 2012. TITLE: Massively parallelized O(N) Krylov subspace method for large-scale DFT calculations. Assoc. Prof. Ozaki gave a lecture at Nissan Research Center. Advanced research topics to use supercomputer "K", the three projects in which Assoc. Prof. Ozaki will participate (battery, magnet, structural material) was adopted. Assoc. Prof. Ozaki gave lectures about the computational materials science at Nanjing University (China) . Assoc. Prof. Ozaki gave a lecture about the computer simulation at ISP Interchange Seminar 2012. Assoc. Prof. Ozaki gave an invited lecture on large-scale electronic structure calculations at ISSP-CMSI international workshop/symposium on MAterial Simulation in Petaflops era ( MASP2012 website ). TITLE: Large-scale electronic structure calculations by OpenMX: Current status and future. Assoc. Prof. Ozaki gave an invited lecture at SIAM Conference on Parallel Processing for Scientific Computing 2012 ( PP12 website ) . SUMMARY: We’ll review the computational tools and protocols developed in our group in order to study the mechanical and transport properties of materials, and its application to the understanding of the atomic-resolution images obtained with the scanning tunneling (STM) and the force microscope (AFM) by different experimental groups on technologically relevant materials. Firstly, we’ll focus on tuning of the electronic properties of graphene through the creation of defect and edge states, looking, in particular, to the connection of graphene with metal surfaces. Combining high resolution STM experiments and DFT calculations, we have unambiguously unveiled the atomic structure of the boundary between a graphene zigzag edge and a Pt(111) step. The graphene edges minimize their strain by inducing a 3-fold edge-reconstruction on the metal side. We have shown the existence of an unoccupied electronic state exclusively localized in the C-edge atoms of a particular graphene sublattice, which could be used to develop new dual-channel devices. Metal oxides play a key role in a wide range of technological applications. While in many cases the same FM-AFM image can be explained by different models, and even different underlying tip-sample interactions, we show here that the combination of force spectroscopy (FS) measurements and first-principles simulations can provide an unambiguous identification of the tip structure and the image contrast mechanism in rutile TiO2 (110) and anatase TiO2 (101) surfaces. In the case of STM, we have made a comprehensive study of the (2√2x√2)R45゜ missing row reconstruction of the Cu(100) surface, using different tips and systematically varying bias voltage and tip sample distance, to explore the rich variety of image contrasts observed in the experiments. Our results achieve a conclusive understanding of fundamental STM imaging mechanisms and provide guidelines for experimentalists to achieve chemically selective imaging by selecting imaging parameters. Finally, we’ll present our recent work on the structure and functionality of biological systems in their native liquid environment. We’ll discuss the application of large-scale steered Molecular Dynamics simulations, based on classical potentials developed by the molecular biology community and the use of GPUs as processing units, provide insight into the protein-graphene biocompatibility, the flexibility map of human antibodies, and the hydration properties of self-assembled monolayers of single-stranded DNA and its possible use as a label-free DNA sensor. SUMMARY: Recently, we can use high-performance desktop computers and cloud computing so that we can use numerous small-scale or middle-scale of computing power. Furthermore, various rich simulation programs for computational chemistry or computational physics are developed and anyone can run sophisticated material design simulations with simple procedures. However, since the result of a simulation is a mass of numerical data, auto data processing is necessary for understanding the result. Fortunately, data mining technologies are full-grown and anyone can utilize important data mining methods today. Therefore this work aims at material design system based on huge number of simulations and auto data processing technology. This talk will introduce relational information and will describe recent work. SUMMARY: Helium irradiation onto tungsten surfaces brings about the growth of fuzzy tungsten fibers in the diameter of several ten nano-meter. This material, which is called "tungsten nano-structure", was found by the research on a plasma facing tungsten material in the inside walls of nuclear fusion reactors. Because the incident energy of the helium ions is less than that to sputter the tungsten atoms from the surface, the growth of the fuzzy fibers can be regarded as self-organized growth. The formation process of the tungsten nano-structure is not classified into the deposition and processing/etching, which are two kinds of typical processes to create surface nano-structures. The formation mechanisms of tungsten nano-structure have been not well understood. We have grappled with the formation mechanisms of the tungsten-nano structure by using density functional theory with the OpenMX developed in JAIST, molecular dynamics and some simulation models. In this presentation, we introduce the interesting tungsten nano-structure with our simulation researches. SUMMARY: Nickelate superlattices have created considerable interests especially due to the possible emergence of high-temperature superconductivity caused by heterostructuring and onsite correlation. To understand LaNiO3/LaAlO3-type of superlattices, we performed the electronic structure calculations. The systematic study with GGA (generalized gradient approximation) and tight-bonding analysis clearly shows that the non-transition-metal counter ions (e.g., Al, Ga, In) can be used to control the orbital polarization even if these ions have nominally zero valence. Taking correlation effects into account within GGA+U and DMFT (dynamical mean-field theory), we show that this heterostructure is unlikely to produce one-band model physics and therefore high-temperature superconductivity may not be realized. It is also found that the charge transfer between transition metal and oxygen is crucial, demonstrating the fundamental inadequacy of modeling the physics of late transition-metal oxides with Hubbard-like models. SUMMARY: I will introduce a method for large scale electronic structure calculations based on the finite element method. In particular, the choice of coordinates, multigrid-based Poisson solver, and the method for ground state calculations will be discussed. I will also present our results on the Born-Oppenheimer molecular dynamics simula- tions of several molecular liquids including the phosphoric acid and liquid ethanol. Copyright © 2012-2018 Ozaki Laboratory. All Rights Reserved.